“Play the Association game between now and May 31st, and enter your post in the links bellow, and I’ll put your name in the hat to win a silver ingot. 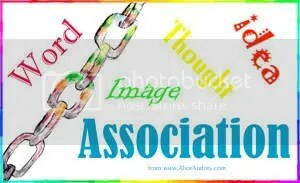 Have you ever played the word association game? In that game, someone will say a word, then the next person says the first word they think of. Each person who follows simply says what ever word comes to mind, based on the previous word. 1. Anyone can play, whether they have been tagged or not. 2. Include the rules and logo in your post. 3. Copy out all the responses that were made before you. 4. Link to each of the people who responded before you. 5. Put in your response. Your response can be as little as a single word or as much as 100 words. It can be a word, a phrase, an image, a song, a video, a story, or a short rant. 6. Tag anyone you would like to challenge to play this game. You do not have to tag anyone. 7. You can do this any time you run across it, even if you were one of the previous responders. If you have done this meme on your blog, you are welcome to put your link in here. Be sure to link to the specific post, and welcome to the Association Association. Want to simply jump in? You are welcome to start with the word “Excitement”, or to take off from any of the responses you find among the players listed below. Now I can either tag someone or leave it open. I am leaving it open. Grab on and have fun! Hope you don’t get rained on! Hope you have a great get away! We all need those these days! I am so looking forwar to meeting you!! What fun! I did one based on yours today. I love it. Hi Quilly, I played along too. Have a great week.